Last year my friend George showed me a small men's steel frame that someone (unknown) had dropped on his front verandah. It was a very small frame that had a 52cm top tube..... George convinced me that it was the perfect size for my (at the time) 11 year old son named Lawrence. The frame had been totally stripped of all of its components, even the bottom bracket and headset were missing. 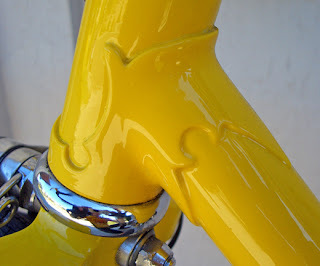 It was void of any decals, although the head tube had a raised steel "lightning bolt" symbol where the head tube badge would ordinarily be located. 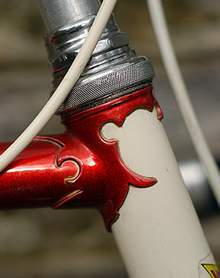 Post restoration... the "Lightning Bolt" design of Flash Cycles on the head tube. After a bit of research (...based on the "lightning bolt" symbol) I discovered that the bike frame was built by Flash Cycles (Eddy Barron) of Midland, Western Australia. Flash Cycles commenced building bikes in the mid 1940's. I couldn't find much information about Flash Cycles although I located a couple of images below that relate to the Midland based bicycle company. 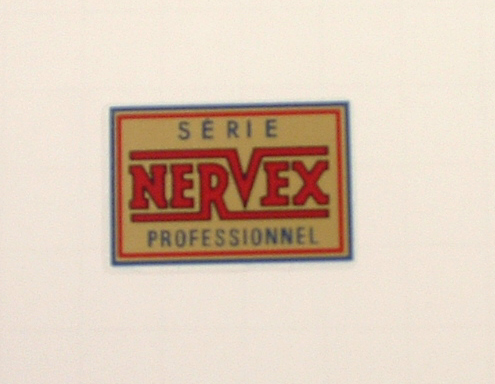 Standard "Flash" seat tube decal. ...note the "Flash" seat tube decal. I had a look at the frame and noticed the beautiful steel lugs it had, and on closer examination I found the word "NERVEX" stamped on the underside of the bottom bracket area. Nervex referred to the manufacturer of the steel lugs on the frame....... they were made in France, and they were just beautiful! Obviously, Flash Cycles had sourced their lugs from Nervex and incorporated them into their steel bicycles made for the Western Australian market. It appears that Nervex exported their ornate steel lugs to bicycle manufacturers all over the world between the 1950's to the 1970's. 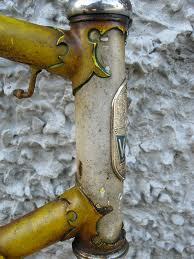 Below are three classic images of Nervex lugs..... and when painted to enhance the design they look just beautiful! I had the frame sand blasted and powdercoated in red, and I decided to make the bike a 5 speed classic, remeniscent of the early 1970's, just perfect for my 11 year old! I managed to source a new old stock (NOS) Shimano five speed stem shifter and NOS five speed cable guides, not easy to find but well worth the effort. George built up some 700c wheels with high flange hubs, the hubs looked very 1970's.....which was the era I was trying to capture. George also found some period brake calipers and a 1970's style crankset that fitted the theme. Shimano 5 speed stem shifter. Lawrence and I recently went on a fund raising charity ride (for asthma) in Perth along one of the freeways. He rode his bike on the ride as is pictured below, what a great ride!! Lawrence and his Flash Cycles AC Milan 5 speed racer. The bike is well and truly finished now....maybe it's time to start another project?? Keep cycling and be safe.